Longtime Chrysler executive George F. Butts, who held positions in the product planning, stamping and quality divisions, died Feb. 13 in Jupiter, Fla.
Butts’ Chrysler career began in 1949 as a student engineer. Butts, a Drexel University graduate, received a master of science degree in mechanical engineering from the Chrysler Institute of Engineering in 1951. Butts held an array of top level positions during his 38 years at Chrysler. 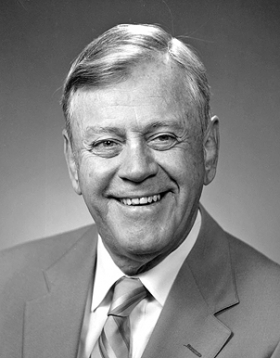 In 1973, Butts was named vice president of product planning. Then he became vice president of stamping and assembly in 1977. From 1980 to 1988, he was vice president of quality and productivity. He retired from Chrysler in 1988 and started a consultancy, G.F. Butts & Associated, where he worked for 10 years. In 1983, Butts talked to the Christian Science Monitor about earning consumer trust in vehicle quality.